If you hear the word ‘braces’ what do you think? Most of us still picture bulky, metal train-track braces that no one in their right mind would want to wear… But nowadays there are loads of different orthodontic treatments available and for patients of all ages. If you hear the word ‘braces’ what do you think? Most of us still picture bulky, metal train-track braces that no one in their right mind would want to wear… But nowadays there are loads of different orthodontic treatments available and for patients of all ages. So that means ugly, painful braces are a thing of the past.The field of orthodontics is one of the most rapidly evolving areas of dentistry and this is great news for dental patients because they now have access to an ever-increasing range of treatments and appliances. Which Dental Braces treatments are available? There are now many different treatment options available and treatment list is increasing all the time. From minor problems to complex cases, there is a huge range of teeth straightening appliances that are designed to meet individual preferences and requirements. Traditional fixed braces are still common and they are still extremely effective, especially for people who have complex needs and require a great deal of movement. In the past, fixed braces were heavy and bulky, but modern designs are much lighter and finer. 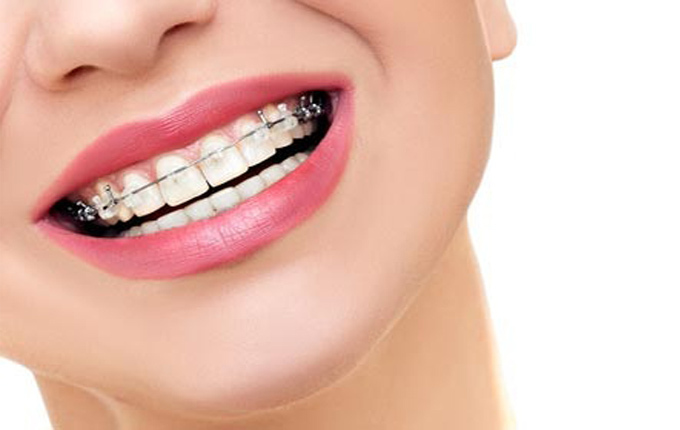 They are also available in different colours and there are even tooth-colored braces.There are modern fixed brace options including Six Month Smiles, Damon Braces, and Fastbraces. Six Month Smiles are designed for patients who have issues related to their front teeth and provide results in only six months. Damon braces are a popular alternative to traditional fixed braces, as they use state of the art sliding brackets and friction-free technology to move the teeth quickly and painlessly. They are suitable for patients with complex needs and tend to take around 4-6 months less time to achieve results than conventional fixed braces. Fastbraces are a relatively new treatment but they have been developed over a 20 year period. They work much quicker than traditional fixed braces because they move the tooth roots and the crown at the same time. Treatment is usually complete within 4-12 months. One of the major bug-bears of orthodontic patients was the visibility of braces and the difference wearing a brace made to their appearance. Invisible braces provide a solution for image-conscious patients and straighten teeth without anyone even knowing it. Popular invisible brace systems include Invisalign and Clearstep, which both use clear aligners to gently guide the teeth into alignment. These treatments also offer patients flexibility as they can be removed for eating, drinking and cleaning the teeth, making them a popular choice for teenagers and adults. The Inman Aligner is a revolutionary treatment which straightens the front teeth in a matter of weeks. The aligner is removable and uses the latest technology to prevent pain. The Inman Aligner is designed for patients who have minor problems that affect their front teeth, but it can also be effective for people who have suffered relapse after previous teeth straightening treatment. Lingual braces are attached to the back of the teeth, rather than the front and have become popular with people who do not want their braces to be seen. Popular lingual brace systems include Incognito.